A Full Grain Leather Belt, with a Washed Leather for a soft and Vintage Look. 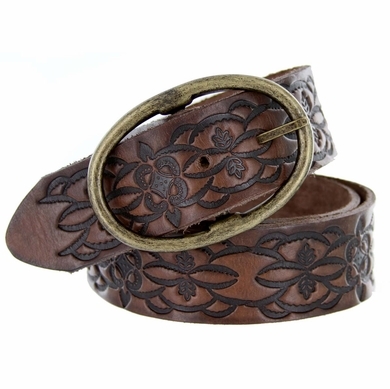 Floral embossing gives depth and a soft touch to this genuine leather belt. 1. 5" Wide, fits in Jeans belt loop.